View a list of Sustainability-related meetings at the National Academies of Sciences, Engineering, and Medicine. View a list of Sustainability-related ongoing activities at the National Academies of Sciences, Engineering, and Medicine. Huanglongbing (HLB) or citrus greening, first observed more than a hundred years ago in Asia, is the most serious disease threat to the citrus-growing industry worldwide due to its complexity, destructiveness, and incalcitrance to management. First detected in Florida in 2005, HLB is now widespread in the state and threatens the survival of the Florida citrus industry despite substantial allocation of research funds by Florida citrus growers and federal and state agencies. As the HLB epidemic raged in 2008, Florida citrus growers began allocating funds for HLB research in hopes of finding short-, medium-, and long-term solutions. This effort created the Citrus Research and Development Foundation (CRDF), an organization with oversight responsibility for HLB research and development efforts in Florida. This report provides an independent review of the portfolio of research projects that have been or continue to be supported by the CRDF. It seeks to identify ways to retool HLB research—which, despite significantly increasing understanding of the factors involved in HLB, has produced no major breakthroughs in controlling the disease—and accelerate the development of durable tools and strategies that could help abate the damage caused by HLB and prevent the possible collapse of the Florida citrus industry. One of the most significant, energetic, yet not well understood, oceanographic features in the Americas is the Gulf of Mexico Loop Current System (LCS), consisting of the Loop Current (LC) and the Loop Current Eddies (LCEs) it sheds. Understanding the dynamics of the LCS is fundamental to understanding the Gulf of Mexico’s full oceanographic system, and vice versa. This report recommends a strategy for addressing the key gaps in general understanding of LCS processes, in order to instigate a significant improvement in predicting LC/LCE position, evolving structure, extent, and speed, which will increase overall understanding of Gulf of Mexico circulation and to promote safe oil and gas operations and disaster response in the Gulf of Mexico. Coastal environments provide many valuable ecosystem services. Their role as carbon sinks has been a topic of exploration to evaluate the potential for the restoration and management of coastal habitats as a viable carbon dioxide removal (CDR) approach. To explore the state of knowledge, technical research needs, costs, co-benefits, and societal and governance constraints of CDR in coastal ecosystems (often termed coastal blue carbon), the Committee on Developing a Research Agenda for Carbon Dioxide Removal and Sequestration convened its first workshop on July 26, 2017, in Woods Hole, Massachusetts. The workshop was preceded by an introductory webinar on July 19, 2017, where invited speakers provided an overview of the ecosystems under consideration for coastal carbon removal and sequestration, as well as the costs and other considerations of restoring them. This publication summarizes the presentations from both the webinar and workshop. On August 2–3, 2017, the National Academies of Sciences, Engineering, and Medicine held a workshop titled Preparing for a Rapid Response to Major Offshore Oil Spills: A Workshop on Research Needs to Protect the Health and Well-Being of Communities. Its objectives were to explore research needs and other opportunities for improving public health preparedness, response, and protection related to oil spills; consider how to work within and how to complement the existing oil spill response framework to improve the protection of community health and well-being; to inform discussions about how the Gulf Research Program and other divisions of the National Academies can support these efforts; and to foster connections among public health, oil spill practitioners, disaster research communities, and leaders from communities affected by oil spills. This publication briefly summarizes the presentations and discussions from the workshop. This publication summarizes the presentation and discussions from an Academies workshop in which scientists with different sets of expertise and perspectives explored potential mechanisms driving the evolution of recent Antarctic sea ice variability and discussed ways to advance understanding. Accurate forecasts of the likelihood and magnitude of an eruption in a specified timeframe are rooted in a scientific understanding of the processes that govern the storage, ascent, and eruption of magma. However, the understanding of volcanic systems is incomplete and biased by the limited number of volcanoes and eruption styles observed with advances instrumentation. This report identifies key science questions, research and observation priorities, and approaches for building a volcano science community capable of tackling them. Over the last decade, several large-scale U.S. and international programs have been initiated to incorporate advances in molecular and cellular biology, -omics technologies, analytical methods, bioinformatics, and computational tools and methods into the field of toxicology. This report makes recommendations for integrating new scientific approaches into risk-based evaluations. This study considers the scientific advances that have occurred following the publication of the NRC reports Toxicity Testing in the 21st Century: A Vision and a Strategy and Exposure Science in the 21st Century: A Vision and a Strategy. This report is the sixth biennial review of progress made in meeting the goals of the Comprehensive Everglades Restoration Plan. This complex, multibillion-dollar project to protect and restore the remaining Everglades has a 30-40 year timeline. According to the report, a dedicated source of funding could provide ongoing long-term system-wide monitoring and assessment that is critical to meeting restoration objectives. Gulf Coast communities and natural resources suffered extensive direct and indirect damage as a result of the largest accidental oil spill in U.S. history, referred to as the Deepwater horizon oil spill. This report identifies best practices for monitoring and evaluating restoration activities to improve the performance of restoration programs and increase the effectiveness and longevity of restoration projects. This report provides general guidance for the restoration monitoring, assessment, and synthesis that can be applied to most ecological restoration supported by these major programs given their similarities in restoration goals. The social cost of carbon (SC-CO2) is an economic metric intended to provide a comprehensive estimate of the net damages - that is, the monetized value of the net impacts, both negative and positive - from the global climate change that results from a small (1-metric ton) increase in carbon-dioxide emissions. This report examines potential approaches, along with their relative merits and challenges, for a comprehensive update to a current methodology developed by the Interagency Work Group on the Social Cost of Greenhouse Gases in 2010. An ad hoc committee of the Academies is in the process of reviewing the many different scientific initiatives underway to support the Edwards Aquifer Habitat Conservation Plan (HCP). The Committee to Review the Edwards Aquifer Habitat Conservation Plan is focusing on the adequacy of information to reliably inform assessments of the HCP's scientific initiatives, ensuring that these initiatives are based on the best-available science. The study spans from 2014 to 2018 and will result in three reports. At the conclusion of Phase 1, the Committee issued its first report which focused on hydrologic modeling, ecological modeling, water quality and biological monitoring, and the Applied Research Program. The Committee will issue its second report in late 2016 and its third and final report in 2018. This interim report is part of Phase 2 activities and will be incorporated, as an appendix, into the second report. Gulf Coast communities and natural resources suffered extensive direct and indirect damage as a result of the largest accidental oil spill in US history, referred to as the Deepwater Horizon (DWH) oil spill. This report identifies best practices for monitoring and evaluating restoration activities to improve the performance of restoration programs and increase the effectiveness and longevity of restoration projects. This report provides general guidance for restoration monitoring, assessment, and synthesis that can be applied to most ecological restoration supported by these major programs given their similarities in restoration goals. 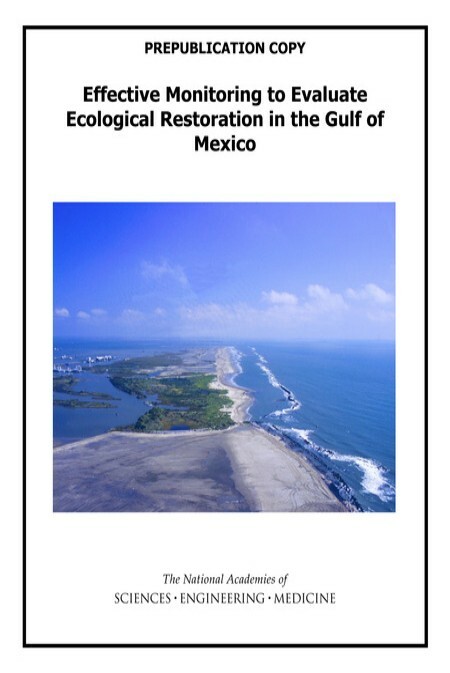 It also offers specific guidance for a subset of habitats and taxa to be restored in the Gulf including oyster reefs, tidal wetlands, and seagrass habitats, as well as a variety of birds, sea turtles, and marine mammals. Diluted bitumen has been transported by pipeline in the United States for more than 40 years, with the amount increasing recently as a result of improved extraction technologies and resulting increases in production and exportation of Canadian diluted bitumen. Although rising North American crude oil production has resulted in greater transport of crude oil by rail or tanker, oil pipelines continue to deliver the vast majority of crude oil supplies to U.S. refineries. This report examines the current state of knowledge and identifies the relevant properties and characteristics of the transport, fate, and effects of diluted bitumen and commonly transported crude oils when spilled in the environment. Graywater and stormwater capture and use can expand local water availability while providing additional benefits, such as reduced water pollution (for stormwater) and a drought-resistant year-round water supply (for graywater). Treatment can help address contaminants in the water, but a lack of risk-based treatment guidelines hinders the broader use of stormwater and graywater, this report finds. There is no single best way to use graywater or stormwater to address local water needs, and many important considerations--including legal and regulatory constraints, potential applications, and source water availability--vary widely with local conditions. 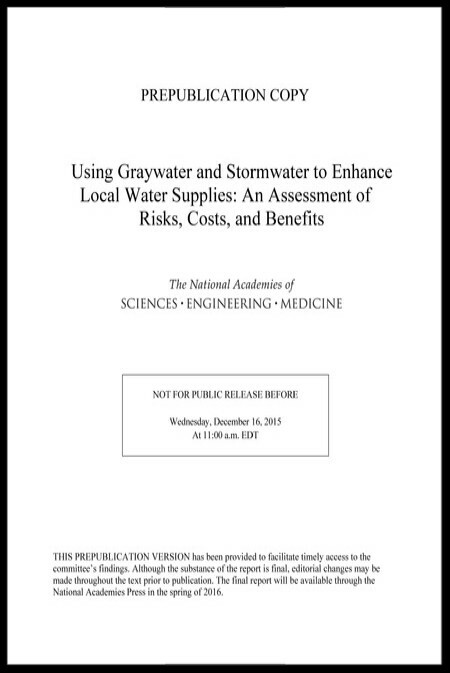 To address these challenges, this report assesses the risks, costs, and benefits of graywater and stormwater use to augment water supplies. Fractured rock is the host or foundation for innumerable engineered structures related to energy, water, waste, and transportation. Characterizing, modeling, and monitoring fractured rock sites is critical to the functioning of those infrastructure, as well as to optimizing resource recovery and contaminant management. 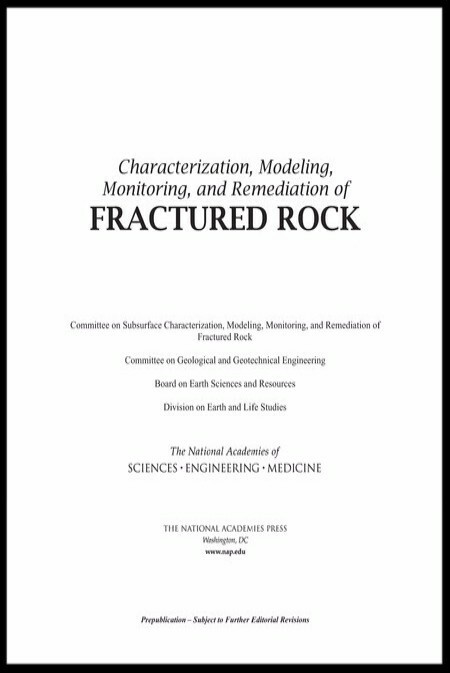 This report examines the state of practice and state of art in the characterization of fractured rock, as well as examines new developments, knowledge, and approaches to engineering at fractured rock sites since the publication of the 1996 National Research Council report, Rock Fractures and Fluid Flow: Contemporary Understanding and Fluid Flow. 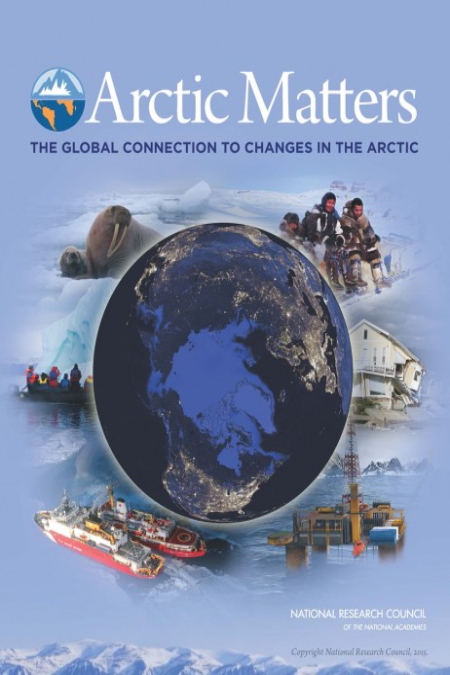 This booklet draws upon a large collection of peer-reviewed National Research Council reports and other national and international reports to provide a brief, reader-friendly primer on the complex ways in which the changes currently affecting the Arctic and its diverse people, resources, and environment can, in turn, affect the entire globe. Topics in the booklet include how climate changes currently underway in the Arctic are a driver for global sea-level rise, offer new prospects for natural resource extraction, and have rippling effects through the world’s weather, climate, food supply and economy. This report summarizes a Gulf Research Program workshop held on September 3-4, 2014 in New Orleans, Louisiana. 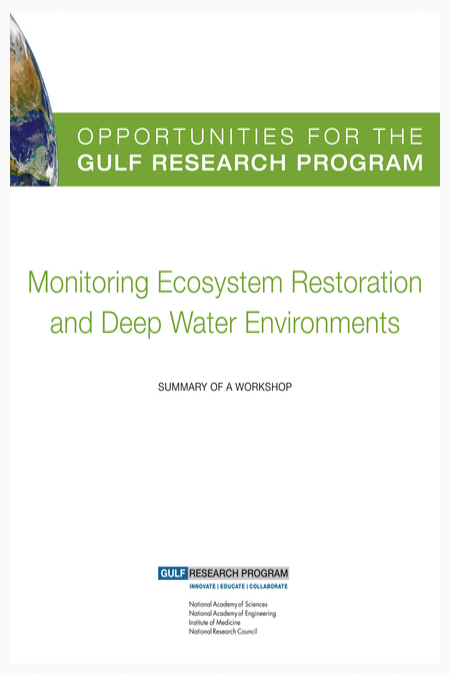 The workshop gathered about 40 participants from the energy industry, state and federal government, academia, and nongovernmental organizations to examine two broad issues that were seen as time-sensitive opportunities in light of significant investments in the Gulf for restoration and accelerating development of energy resources in the deep Gulf: monitoring ecosystem restoration and deep water environments. The Everglades ecosystem is vast, stretching more than 200 miles from Orlando to Florida Bay, and Everglades National Park is but a part located at the southern end. 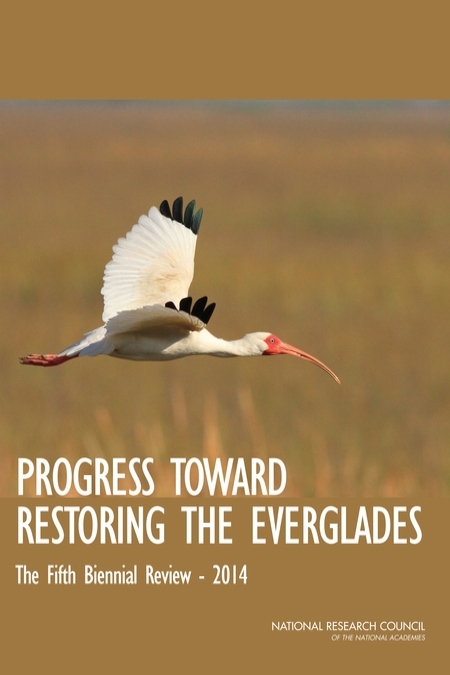 This report is the fifth biennial review of progress made in meeting the goals of the Comprehensive Everglades Restoration Plan (CERP). This complex, multibillion-dollar project to protect and restore the remaining Everglades has a 30-40 year timeline. 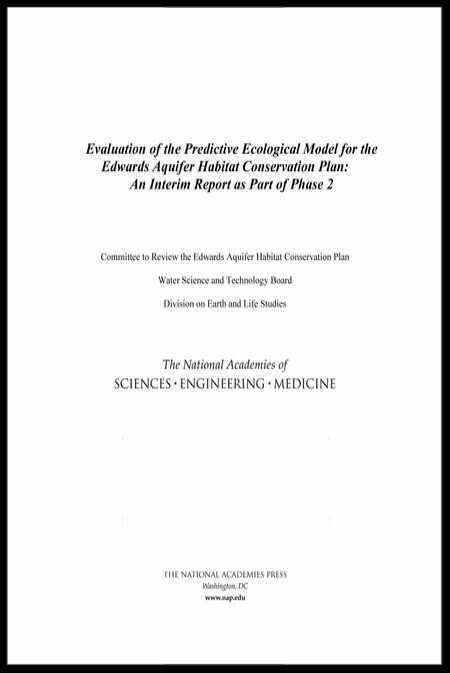 This report assesses progress made in the various separate project components and discusses specific scientific and engineering issues that may impact further progress. In 2010 the Deepwater Horizon explosion and fire in the Gulf of Mexico caused the largest offshore oil spill in U.S. history, resulting in significant impacts on the region's environment and residents. Legal settlements with the companies held responsible led the National Academy of Sciences to form and administer a 30-year program to enhance oil system safety, human health, and environmental resources in the Gulf of Mexico and other U.S. continental shelf areas where offshore oil and gas exploration and production occur or are under consideration. 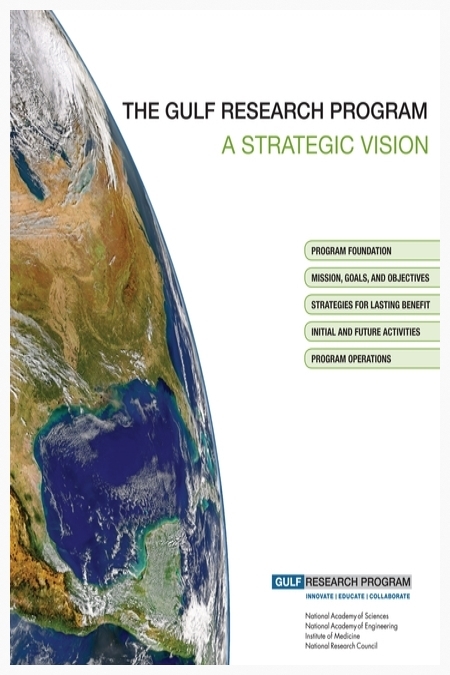 This document establishes the new Gulf Research Program's mission, goals, and objectives. Hurricane- and coastal-storm-related losses have increased substantially during the past century, largely due to increases in population and development in the most susceptible coastal areas. Climate change poses additional threats to coastal communities from sea level rise and possible increases in strength of the largest hurricanes. Several large cities in the United States have extensive assets at risk to coastal storms, along with countless smaller cities and developed areas.This report reviews the coastal risk-reduction strategies and levels of protection that have been used along the United States East and Gulf Coasts to reduce the impacts of coastal flooding associated with storm surges. Once ice-bound, difficult to access, and largely ignored by the rest of the world, the Arctic is now front and center in the midst of many important questions facing the world today. Our daily weather, what we eat, and coastal flooding are all interconnected with the future of the Arctic. The year 2012 was an astounding year for Arctic change. This report reviews research questions previously identified by Arctic researchers, and then highlights the new questions that have emerged in the wake of and expectation of further rapid Arctic change, as well as new capabilities to address them. U.S. Arctic waters north of the Bering Strait and west of the Canadian border encompass a vast area that is usually ice covered for much of the year, but is increasingly experiencing longer periods and larger areas of open water due to climate change. Sparsely inhabited with a wide variety of ecosystems found nowhere else, this region is vulnerable to damage from human activities. As oil and gas, shipping, and tourism activities increase, the possibilities of an oil spill also increase. 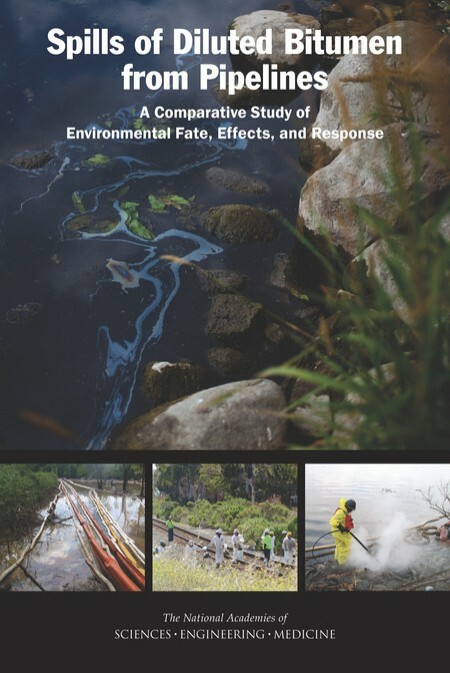 The report reviews the current state of the science regarding oil spill response and environmental assessment in the Arctic region north of the Bering Strait, with emphasis on the potential impacts in U.S. waters. Much of the ecological research in the past decades has focused on rural or wilderness areas. Today, however, ecological research has been taking place in our cities, where our everyday decisions can have profound effects on our environment. This research, or urban ecology, includes an important element, trees. Trees have had a variety of environmental benefits for our environment including the sequestering carbon, reducing urban heat island effects, providing vital habitat for wildlife, and making nature accessible. In order to gain more knowledge into this urban forestry, the National Academy of Sciences held a workshop February 25-26, 2013. This report presents an overview of the issues discussed by the workshop's breakout groups; summarizes presentations from the four panels which included Biophysical Services of the Urban Forest; and provides context for the study with introductory material from the workshop. This report reviews the science that underpins the Bureau of Land Management's oversight of free-ranging horses and burros on federal public lands in the western United States, concluding that constructive changes could be implemented. The Wild Horse and Burro Program has not used scientifically rigorous methods to estimate the population sizes of horses and burros, to model the effects of management actions on the animals, or to assess the availability and use of forage on rangelands. Greater transparency in how science-based methods are used to inform management decisions may help increase public confidence in the Wild Horse and Burro Program. The U.S. Fish and Wildlife Service (FWS), National Marine Fisheries Service (NMFS), U.S. Environmental Protection Agency (EPA), and the U.S. Department of Agriculture (USDA) asked the National Research Council (NRC) to examine scientific and technical issues related to determining risks posed to listed species by pesticides. Specifically, the NRC was asked to evaluate methods for identifying the best scientific data available; to evaluate approaches for developing modeling assumptions; to identify authoritative geospatial information that might be used in risk assessments; to review approaches for characterizing sublethal, indirect, and cumulative effects; to assess the scientific information available for estimating effects of mixtures and inert ingredients; and to consider the use of uncertainty factors to account for gaps in data. This report is the response to that request. The National Research Council Committee on Hydrologic Science held a workshop on January 5-6, 2010, that examined how climate warming translates into hydrologic extremes like floods and droughts. 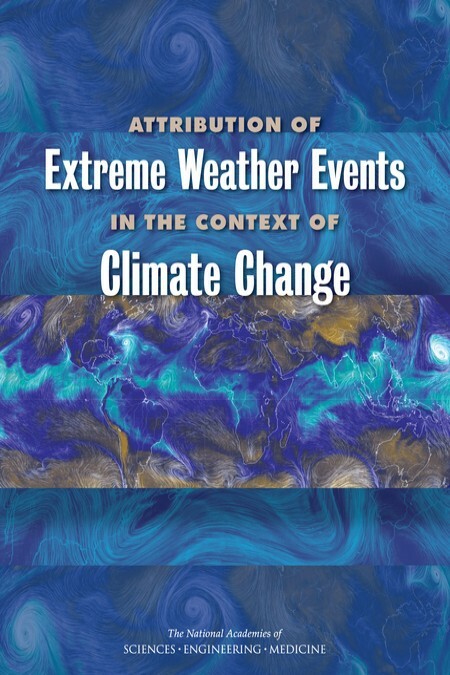 This report summarizes the proceedings of this workshop and presents an overview of the current state of the science in terms of climate change and extreme hydrologic events. It examines the "conventional wisdom" that climate change will "accelerate" the hydrologic cycle, fuel more evaporation, and generate more precipitation, based on an increased capacity of a warmer atmosphere to hold more water vapor. The report also includes descriptions of the changes in frequency and severity of extremes, the ability (or inability) to model these changes, and the problem of communicating the best science to water resources practitioners in useful forums. Ocean color measurements reveal a wealth of ecologically important characteristics including: chlorophyll concentration, the rate of phytoplankton photosynthesis, sediment transport, dispersion of pollutants, and responses of oceanic biota to long-term climate changes. Continuity of satellite ocean color data and associated climate research products are presently at significant risk for the U.S. ocean color community. This report aims to identify the ocean color data needs for a broad range of end users, develop a consensus for the minimum requirements, and outline options to meet these needs on a sustained basis. The report assesses lessons learned in global ocean color remote sensing from the SeaWiFS/MODIS era to guide planning for acquisition of future global ocean color radiance data to support U.S. research and operational needs. Natural disasters are having an increasing effect on the lives of people in the United States and throughout the world. Every decade, property damage caused by natural disasters and hazards doubles or triples in the United States. More than half of the U.S. population lives within 50 miles of a coast, and all Americans are at risk from such hazards as fires, earthquakes, floods, and wind. This report reviews the effects of Hurricane Katrina and other natural and human-induced disasters on the Gulf Coast of Louisiana and Mississippi and to learn more about the resilience of those areas to future disasters. Topics explored in the workshop range from insurance, building codes, and critical infrastructure to private-sector issues, public health, nongovernmental organizations and governance. The National Research Council has released the final report of America's Climate Choices. It includes a CD of the four panel reports of the America's Climate Choices series as well as materials based on those reports. The report finds that the significant risks that climate change poses to human society and the environment provide a strong motivation to move ahead with substantial response efforts. Current efforts of local, state, and private sector actors are important, but not likely to yield progress comparable to what could be achieved with the addition of strong federal policies that establish coherent national goals and incentives, and that promote strong U.S. engagement in international-level response efforts. The inherent complexities and uncertainties of climate change are best met by applying an iterative risk management framework and making efforts to: significantly reduce greenhouse gas emissions; prepare for adapting to impacts; invest in scientific research, technology development, and information systems; and facilitate engagement between scientific and technical experts and the many types of stakeholders making America's climate choices. Climate change is already causing observable impacts on terrestrial, freshwater and marine ecosystems in polar regions, and as climate continues to change, scientists expect these impacts to grow. However, the inherent complexity of ecosystems and the fact that they are subject to multiple stressors makes understanding the extent of future environmental change difficult. Scientists with expertise in Arctic, Antarctic, marine, and terrestrial environments came together at a recent National Research Council workshop to consider accomplishments in the field to date and identified five frontier questions that could help researchers gain a better understanding of the impact of climate change on polar ecosystems. There is little dispute within the scientific community that humans are changing Earth's climate on a decadal to century time-scale. By the end of this century, without a reduction in emissions, atmospheric CO2 is projected to increase to levels that Earth has not experienced for more than 30 million years. As greenhouse gas emissions propel Earth toward a warmer climate state, an improved understanding of climate dynamics in warm environments is needed to inform public policy decisions. In Understanding Earth's Deep Past , the National Research Council reports that rocks and sediments that are millions of years old hold clues to how the Earth's future climate would respond in an environment with high levels of atmospheric greenhouse gases.